"Multiplication and Division Made Easy With Songs"
Music makes mastering the basic Multiplication facts a snap using catch songs on a CD/DVD. Put away those flash cards – Music Math Facts 2 for Multiplication and Division allows students to master the facts in no time. Laminated student book pages correlate with songs and allow for repeated practices. A step-by-step teacher’s manual is included. 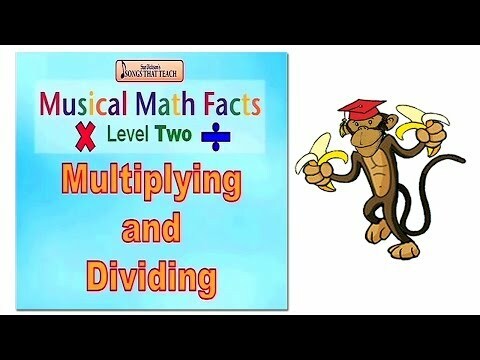 Video DVD with 14 animated math songs and featuring “Marvin the Marvelous Math Monkey.